Keep your loved ones inside this sparkling heart garden locket necklace. 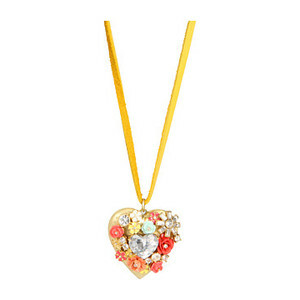 Gold heart locket decorated with colorful blooming flower and a heart shinning stone in the center. It has a leather yellow adjustable cord.